Not familiar with these parts? Don't fret. Here's the lay of the land. Q: What makes you different from other local murder mystery theaters? Many things make our wild west murder mystery dinner theater productions great!" First we start with a murder mystery comedy script that is funny, well written and specific to the Texas Wild West. We then take that script and add qualified, impeccably trained and talented actors (along with ingenious skillful direction) to create a hilariously funny show. Lone Star Murder Mystery dinner theater is located at Texas Star Dinner Theater on Main Street in beautiful Historical Downtown Grapevine (between Dallas and Fort Worth). In addition to a great show, you will also enjoy a delicious dinner prepared and served by the fine staff at The Chill conveniently located just across the patio from the theater. Experience the one-of-a-kind Wild West atmosphere and culture of our newly renovated Texas chic theater. Enjoy a thrilling and hilarious trip back in time to the old west as you watch actors dressed in elaborately detailed, authentic costuming. You will not be tricked into participating any more than you are comfortable with. Actors are clearly identifiable by their costumes so you will know who the audience is and who the actors are. You can just sit back, relax, enjoy (and perhaps solve) a side-splitting, comedic murder mystery. You will have the opportunity to have your photo taken with the cast after the show! You can access and download these photos from our web site for free. Our Grapevine, Texas location is easily accessible from all North Texas localities including Fort Worth, Dallas, Arlington, The Mid-Cities, Denton, Southlake, Colleyville, Plano, Richardson, Lewisville, Grand Prairie and more! Find us on Google Maps. Make your reservations now. Call 817-310-5588 or purchase tickets online. Your Wild West dinner theatre experience takes place in our stylish, newly renovated western theater. Consider arriving early and take a stroll down the historical Main Street in Grapevine. Dinner will be served approximately 30 minutes after doors open. You will dine at the table from which you will watch the show. At our Wild West murder mystery dinner theater, the actors perform in and among the tables, directly interacting with audience members. They will not be seated at the tables dining with guests. You are definitely seeing a "staged" production. The 90-minute murder mystery comedy unfolds in three acts. Each table functions as a team to solve the mystery. Following Act Two, each table/team has the fun opportunity to interrogate the murder suspects. Each table then submits a ballot naming who they believe is the guilty party. After the ballots are collected Act Three is performed and the mystery is solved. You can expect a unique theatrical experience that will leave you laughing long after the show is over. Come discover what everyone is talking about! You will have an unforgettable evening of fun and a great meal while being smack in the middle of a hysterical, award winning, entertaining comedy murder mystery. The show is set in the 1880's when Texas was still young and the West was still very wild. For murder mystery aficionados, we provide intrigue, suspense and challenge for your investigative skills. For those who just want to have fun with dinner, we provide more hilarity than you can laugh at! Yes! To ensure that all parties stay together, we do assign seating. Parties of 3 or less may be seated with other parties of 3 or less as you work together as a team to solve the mystery! Parties of 4-12 will be assigned a table for only their party. If your party exceeds 12 guests, you will be split into several tables that are next to each other. Not a problem. Simply come up with a group name for everyone in your party to reference when purchasing tickets (i.e. "Suzie's Birthday Party"). If you purchase tickets over the phone, let our box office know the name of the party. If purchasing online, once you have selected the date and meals, the next page will be a billing address page. On that page will be a box entitled "Additional Info." Type your party name in that box, and we will be sure to add you to your requested party. You're sitting on it! We are not a traditional theater, so there isn't a stage. Your table is right in the middle of the action with the show happening in and around all of the tables where guests are seated. We like to call this unique experience, "Theater in the Crowd." Q: What is a "Wild West" theme? When you attend our Wild West murder mystery dinner theatre, you take alight-hearted journey back to the old Wild West of Texas. Actors are arrayed in elaborate, authentic, detailed costuming straight out of the Wild West 1880's of Texas. Comedy scripts are based loosely on stories that took place in the wild Texas frontier town of Fort Worth, where crime and vice were easy to find if you wanted. The town was not unlike most western towns -- built on cattle trails and railroads -- where trail cowboys, gunfighters, and outlaws gathered in saloons, hotels, restaurants (and even theaters) to wile away the long western nights. One of the most recognizable images from the Old West (and the setting for our show) is a saloon filled with colorful characters living out their lives. Inside, we might see dance hall girls, gamblers, cowboys, a town merchant and maybe even a traveling preacher attempting to turn a wayward soul back to the righteous path. Are you ready to visit the Old Wild West? Make your reservations now. Call 817-310-5588 or purchase tickets online now. Q: Can I take my own photos/videos? Guests are welcomed to take some photos during our productions. Guests are NOT allowed to use video cameras during the show due to proprietary copyrights. If you were to ask for a rating, we'd give it a PG-10. Younger children are welcomed to our Lone Star Murder Mystery Dinner Theater at the parents' discretion. However, we strongly discourage a child younger than 5 years old due to the nature of the performance style. Toddlers, babies and small children rarely appreciate live theater. Please hire a baby sitter or send them to Aunt Martha's! Your choice of four delicious dinners - beef, chicken, fish or vegetarian. Q: What is dinner like? In a word, downright delicious! You have your choice of four entrees when making your reservation. You simply can't go wrong, whatever choice you opt for. They are all excellent! If you just can't make up your mind we suggest everyone in your party ordering something different so you can share. Chances are your taste buds will thank you. There is a full service bar available!!! Alcoholic drinks and sodas are not included in the meal price. These are available at the cash bar for an additional cost. Come early and enjoy a cocktail before dinner! Unlimited coffee, tea and water are available throughout the evening. Yes! We have a full service bar available in the theater with plenty of delicious drinks. Due to the interactive nature of our show, we ask our guests to be mindful of alcohol consumption. Any guests that are loud or distracting from the performance, may be refused continued bar service or asked to leave the theater. NO REFUNDS WILL BE ISSUED IF YOU ARE ASKED TO LEAVE DUE TO DISRUPTIVE BEHAVIOR. PLEASE NOTE: Our shows are catered events. All of the meals are prepared in the same kitchen, and, therefore, we can never guarantee there will not be cross contamination. Since dietary restrictions vary from person to person, it is best to call our box office at 817-310-5588 to discuss individual needs. As guests arrive, a salad with croutons will be pre-set. However, a gluten-free guest may request a fresh salad without croutons from their server once they choose a seat at his/her assigned table. Our chicken and fish entrees are considered gluten free options. In place of our regular desserts, we can offer a fresh seasonal fruit cup. Please call our box office to request a fruit cup with your order as it is not a regularly offered option. Do you have any sugar free desserts? We are happy to substitute a fresh seasonal fruit cup in place of dessert. Please call our box office to request a fruit cup with your order as it is not a regularly offered option. Because this production is so popular with Dallas / Fort Worth residents and visitors who love to visit historic Grapevine, the critically-acclaimed award-winning Lone Star Murder Mystery Dinner Theater often has a full house! This popular murder mystery dinner show often sells out, so reservations are strongly recommended. All sales FINAL, no refunds, transfers or cancellations. We encourage a 'business casual' attire for our theater guests. Many folks are celebrating very special occasions and we prefer to maintain that atmosphere. We do not recommend shorts, baseball caps, beachwear, or pajamas. Please dress for a special night out. Q: Is the show funny? Are you kidding? 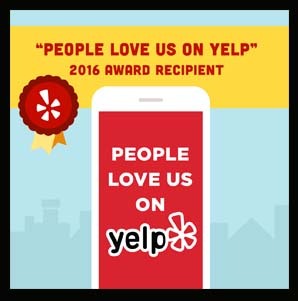 Our multiple awards include Fort Worth Meeting + Events Magazine's "Best Entertainment in Texas" and "Best Holiday Party Venue" 2019," "Hall of Fame 5 Star Certificate of Excellence" by TripAdvisor, Fort Worth Weekly's Reader's Choice "Best Theater Troupe," and Yelp's "People Love Us." Simply put, it's funny!! Lone Star Murder Mystery is "Where Historical meets Hysterical"®. The comedy Murder Mysteries are side-splittingly funny. Guests leave our dinner theater saying, "I laughed so hard my cheeks are hurting". We are knee-slapping, foot stomping, raucously funny. "Laughs fly like bullets and hilarity is the law of the land." Q: Will I be asked to act or perform? Don't worry! Though our productions are interactive and audience participation is possible, our dinner theater guests will not be asked or required to "act" in any production. Q: What do people say about the show? Don't change a thing! What a great show! So much fun! great entertainment for dollar value!